QIP 2012 will be the fifteenth workshop on theoretical aspects of quantum computing, quantum cryptography, and quantum information in a series that started in Aarhus in 1998 and was held in 2011 in Singapore. 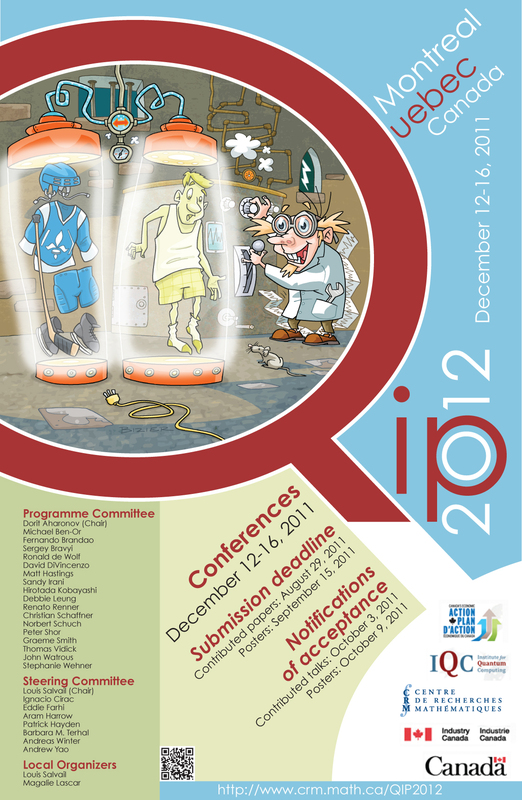 The conference will take place between December 12 and December 16, 2011.QIP 2012 will feature invited talks, contributed talks, and a poster session. In addition, there will be a rump session with short informal talks. 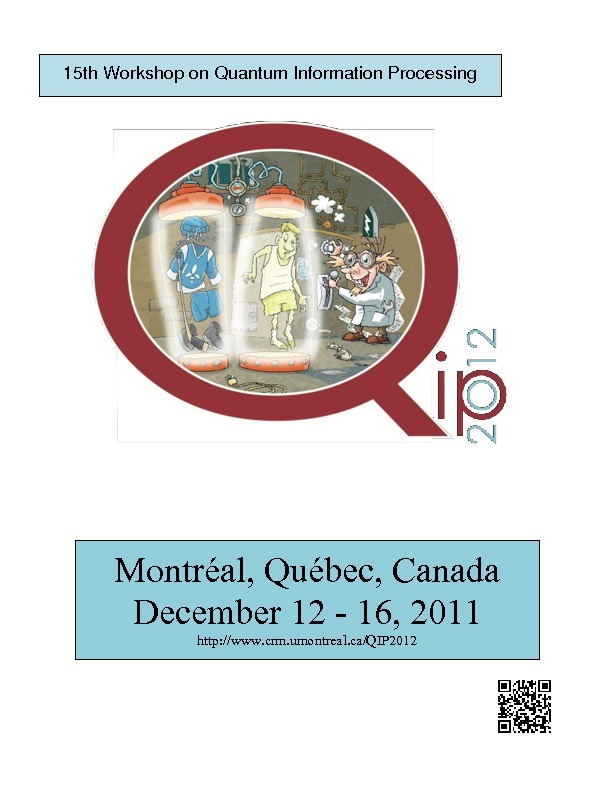 QIP 2012 is the final event of the thematic semester on quantum information organized by the Centre de recherches mathématiques (CRM). The year 2012 will mark the twentieth anniversary of a quantum invention made in Montreal: Quantum teleportation. Quantum teleportation was discovered in 1992 at the Université de Montreal by a group of researchers put together by Gilles Brassard: C. H. Bennett, G. Brassard, C. Crépeau, R. Jozsa, A. Peres, W. K. Wootters. QIP2012 aims at highlighting this fundamental contribution to the field.